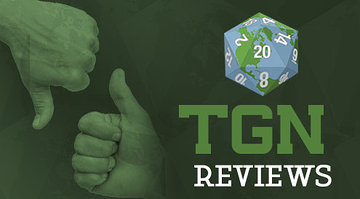 It’s not just a review, and it’s not just a painting guide; it’s a TGN Review N’ Paint! In this spooky Halloween edition of the series, TGN’s Enrico Nardini reviews the the Graveyard Spirit from Wyrd Miniatures and takes you step-by-step through his painting process. Halloween is my absolute favorite holiday. How did I come to this determination? Well, to be frank, it’s the only holiday I make any effort towards celebrating at all. My house is always decorated in advance (an act I take significant joy in), I’m well stocked with candy and horror movies, and my son and I tend to endure a number of costume changes. (It’s hard to settle on one!) 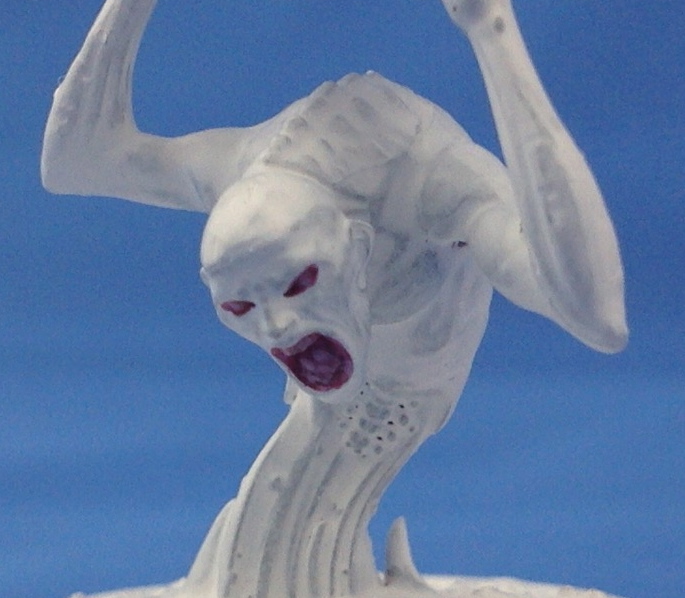 With that in mind, I wanted to pick an appropriately spooky miniature for this edition of TGN Review N’ Paint. 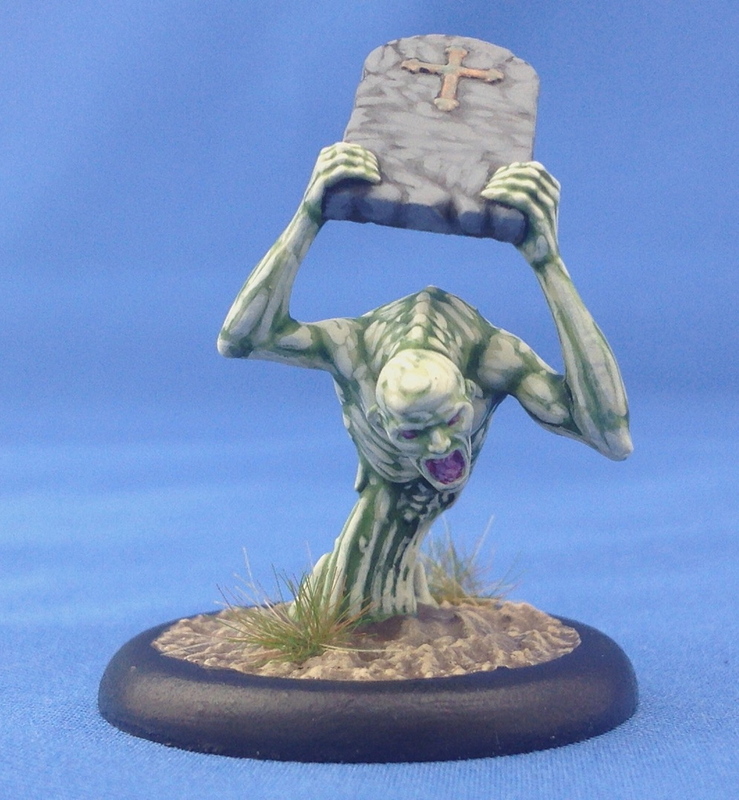 I think the Graveyard Spirit from Wyrd Miniatures fits this season perfectly. 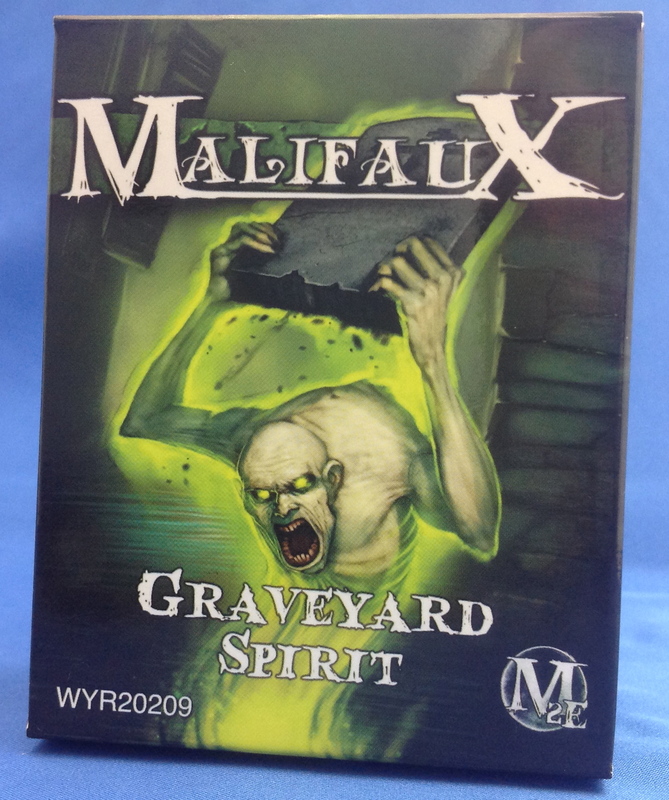 The Graveyard Spirit is an undead creature and part of the Resurrectionists faction in the Malifaux universe. 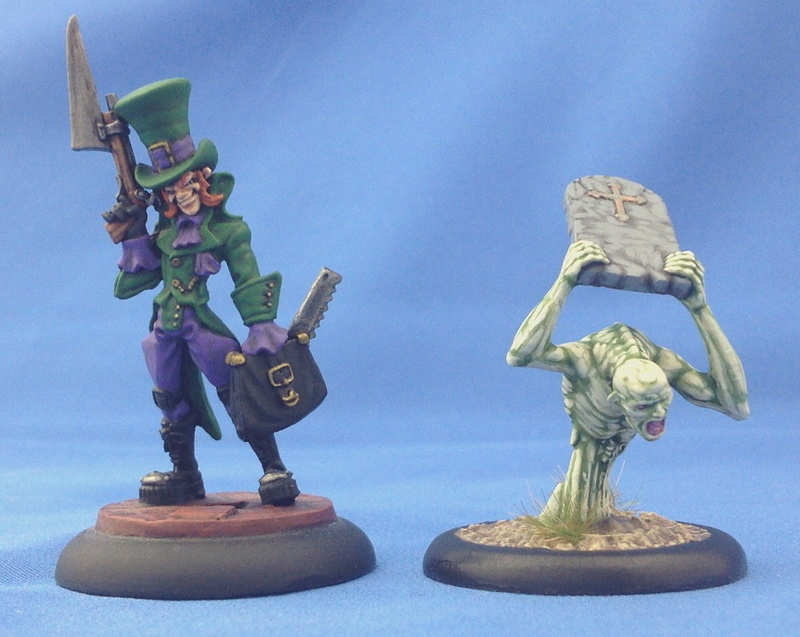 They are essentially the “undead” force in Malifaux. Their masters are necromancers extraordinaire, and their minions are gruesome creatures denied their eternal rest by wicked magic. Well, “smash” is actually a bit of an exaggeration. The Graveyard Spirit is a totem creature and not particularly good in combat. It can deal decent damage on a severe result, but otherwise its offensive abilities are quite lackluster. Most players recruiting it will be doing so for it’s defensive capabilities. Strength from Below allows it to provide an armor bump to models in base contact. When combined with Incorporeal and Calling of the Grave, two tricks that improve its mobility, the Grave Spirit can provide support where your crew need it most. I was actually a bit put out when I first opened the box for the Graveyard Spirit. I’m sure the miniature’s size is listed somewhere on the package, but I honestly just imagined it being a lot bigger. The box is quite large, but the space is mostly occupied with the foam square protecting the miniature's sprue and stat card. Looking at the box, I assumed this was a figure sized for a 40mm base. It is not. There is a lot of wasted packaging. Now if I’m being honest, there was no reason for me to think that. It’s a ghost. Why would it be larger than a person? 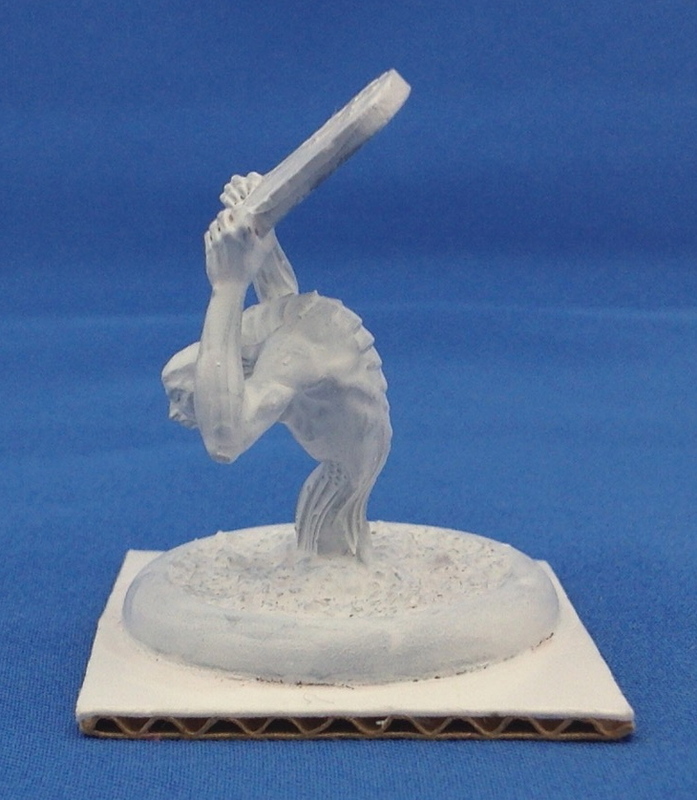 Also, it retails for only $11.00, which is quite inexpensive for a 28mm character miniature. The box size just had me momentarily confused. 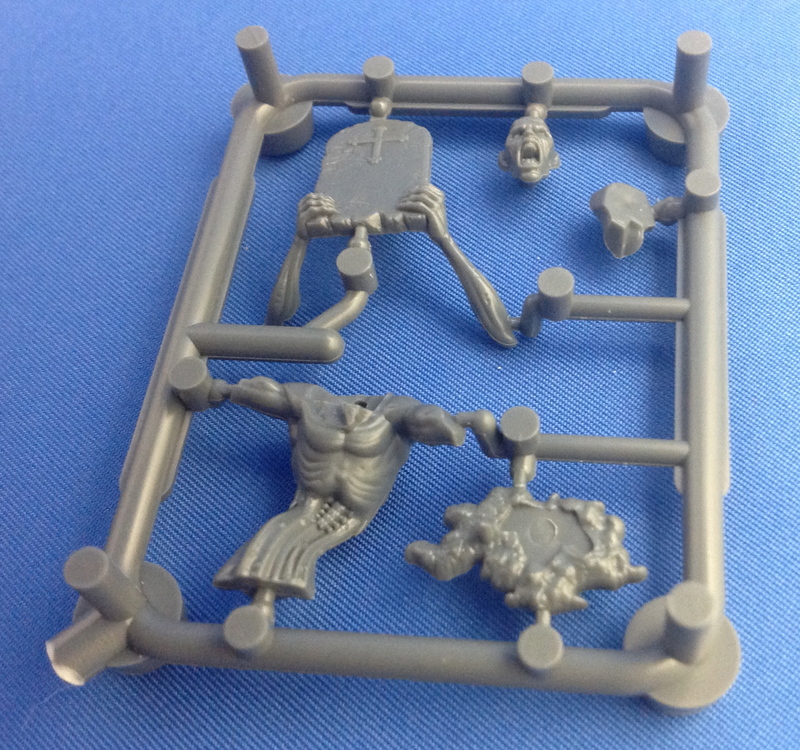 Wyrd’s venture into multi-part, styrene plastic kits has been quite successful. Once I got over my initial disappointment, I was pleased with the miniature. 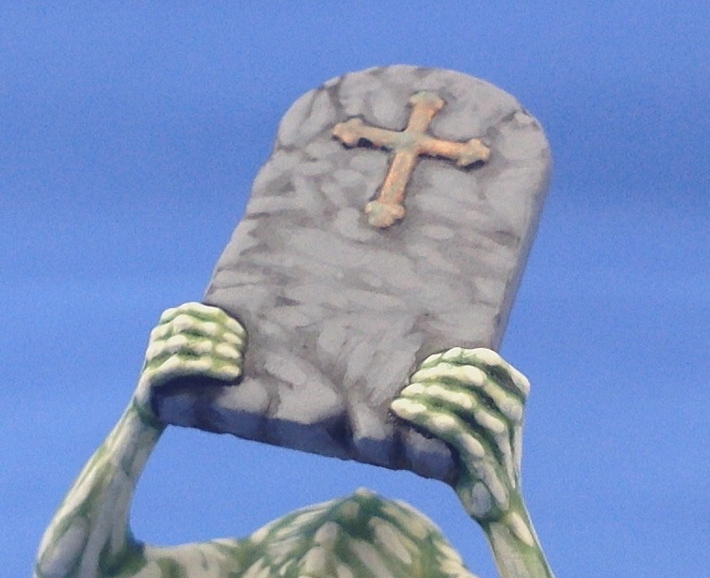 The Graveyard Spirit has clean/crisp details, and it is cut in such a way that there is no “detail melt” along the planes parallel to where the mold seals. Mold lines were very faint, requiring minimal back-scraping to remove them. The overall design is quite simple; the spirit is rising from the ground on a etherial wisp of spirit stuff/ectoplasm/whatever-ghosts-are-made-of. It wields a tombstone (which I assume is its own) over its head like a club. Despite the design's simplicity, there are some interesting additional details. I found the remnants of the spine dangling below the torso a nice touch. The tombstone is also appropriately aged, with tons of cracks and chips. The head sits hunched forward and tilted to one side. The face was a treat to paint. It is an extremely expressive design, combining anger and anguish to perfectly capture the vibe of a tortured spirit. Assembly began by clipping the parts carefully from the sprue. I removed the mold lines by backscraping them with a sharp hobby knife (blade pointed away from myself and held at a 45 degree angle against the figure). The figure was then assembled and attached to its included base with polystyrene glue. The body attaches to a textured bit that supports the figure and provides a flat, stable surface for easy assembly. The texture sits pretty high on the surface of the base. Gluing down ballast would leave this part sticking out obviously. Instead, I used Liquitex Resin Sand. This texture gel can easily be used to fill in a base and makes the transition seamless. I used a little PVA glue to temporarily mount the figure on a square of cardboard, allowing me to handle the figure more easily. I like to use brush-on primer for single figure painting. I primed this figure using Vallejo’s White Primer (VMC) from their surface primer range. Though not necessarily bright, my plan called for some colors I felt would sit much better over a white primer coat. 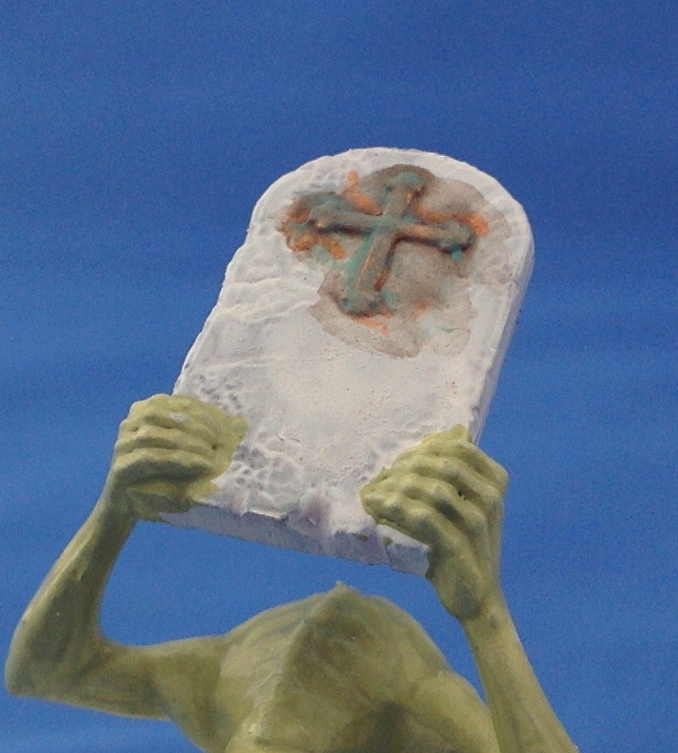 My Graveyard Spirit was painted by layering highlights over a darker basecoat. This is generally achieved in 3-to-4 layers of paint. My highlights tend more towards the extreme, featuring obvious transitions; highlights are applied progressively to raised areas where light would gather. More natural transitions can be achieved by decreasing the contrast between color transitions and adding more layers. This figure was painted primarily with paints from The Army Painter (TAP). I also used some Vallejo Model Color (VMC) and Games Workshop (GW) paints. I knew I wanted to use Necrotic Flesh (TAP) as my base color for the body. It's a pale green with yellowish tones. 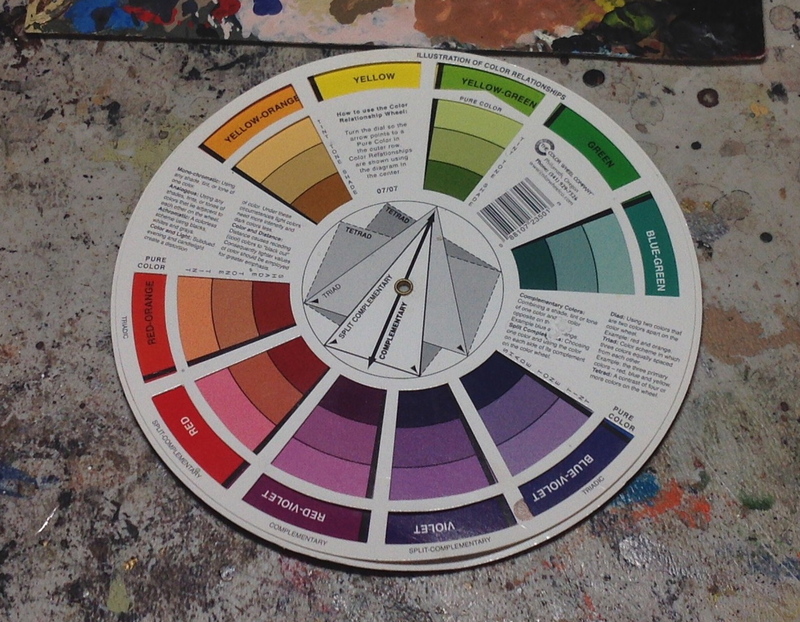 I wasn't sure what other colors I should use, so I grabbed my color wheel. They can be very inexpensive (mine cost less than $5.00). You can't go far wrong using complimentary colors, so I turned my color wheel to Yellow-Green. Looking across, the compliment was Red-Violet. I was ready to get to work. I tend to paint from the inside details to the outside, to minimize the amount of touch-ups my miniatures require. I began with the facial details. I basecoated the eyes and mouth with a 50/50 mix of Alien Purple (TAP) and Pure Red (TAP). Highlights were created by adding increasing amounts of Matt White (TAP). This is not always a good idea. Mixing white with red acrylics won't highlight the red as much as it will make pink, but in this case, a pastel-like look would suit the overall appearance and tie-in well with what I had planned for the flesh. The cross was next on my list. It's an inside detail on the tombstone, and my plans for it were going to be messy. Tackling it early would mean less cleaning up later. Weapon Bronze (TAP) was the first layer. Greedy Gold (TAP) was added for the first highlight. The final highlight was created by adding some Shining Silver (TAP). To weather it, I added some Strong Tone (TAP) wash and finished it up with a touch of Nihilakh Oxide (GW). The body of the Graveyard Spirit was the next part to get some attention. Necrotic Flesh provided a solid basecoat. This was shaded using Green Tone (TAP) wash. Highlights were layered on by adding increasing amounts of Matt White to the Necrotic Flesh. The tombstone received a coat of Uniform Grey (TAP), which was washed with Dark Tone (TAP). I mixed Uniform Grey with Ash Grey (TAP), adding more Ash Grey with each highlight. The base was my final concern. I have a group of 3 Vallejo paints that I really like to use for dirt and broken ground. I began with a coat of Chocolate Brown (VMC). US Field Drab (VMC) and Iraqui Sand (VMC) were then drybrushed on, in turn, to the raised texture. To break up the appearance of the base and add some interest, Swamp Tufts were added. The figure was finished by painting the ring around the base Matt Black (TAP), and the entire figure got a spritz of Testor's Dullcote spray. Once engaged in the painting, I found that I really enjoyed the Graveyard Spirit. It has a simplistic design, but includes enough details to keep things interesting. Though it is quite small, the quality of the figure seems to justify the $11.00 price tag (at least in the current market for single figures cast in styrene plastic). It will seem expensive compared to the likes of Reaper Bones, but in the single figure, multi-part, styrene plastic department, it's a fair deal. This miniature is considerably easier to paint when compared to the Dark Eldar Haemonculus I tackled previously. There are far fewer details to worry about. Though I found this miniature enjoyable to paint, I don't think it has what it takes to be a competitive painter's entry - at least not on its own. That doesn't mean it wasn't fun to paint, though. I had a great time painting my Graveyard Spirit, and I can recommend it to any Resurrectionist player. It would also make a great spirit or ghost for other RPG and miniature games.